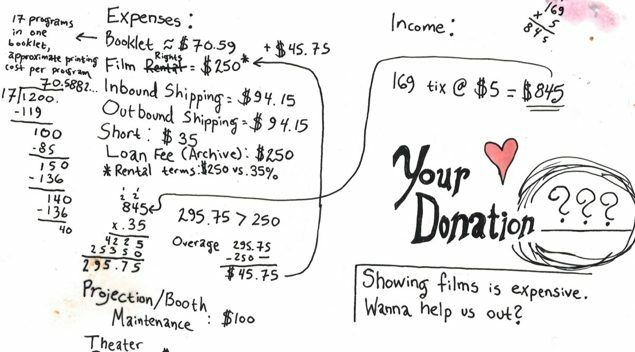 All donations are tax deductible and will be used towards general operating costs, including print rental, print shipping, projection and house management costs, publicity costs, and equipment maintenance costs. 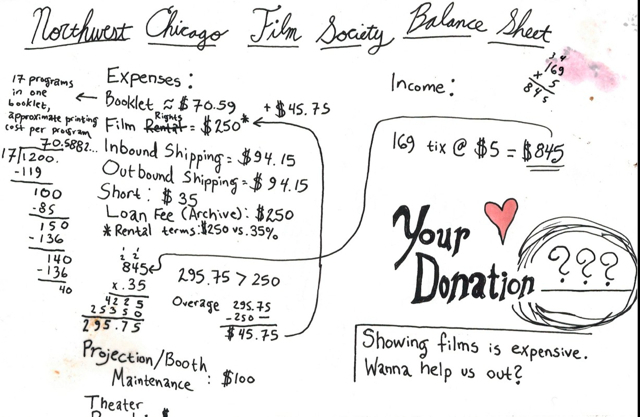 The Chicago Film Society is also happy to accept in kind donations of films (16mm, 35mm, or 70mm), film memorabilia (posters, lobby cards, stills, etc. ), and projection and sound equipment. Please feel free to contact us at info@chicagofilmsociety.org if you wish to make an in-kind donation.